This beautiful Red Flowers collection by independent designer Percy Proudman is influenced by the paintings of Manet and would complement those planning a Floral ceremony. 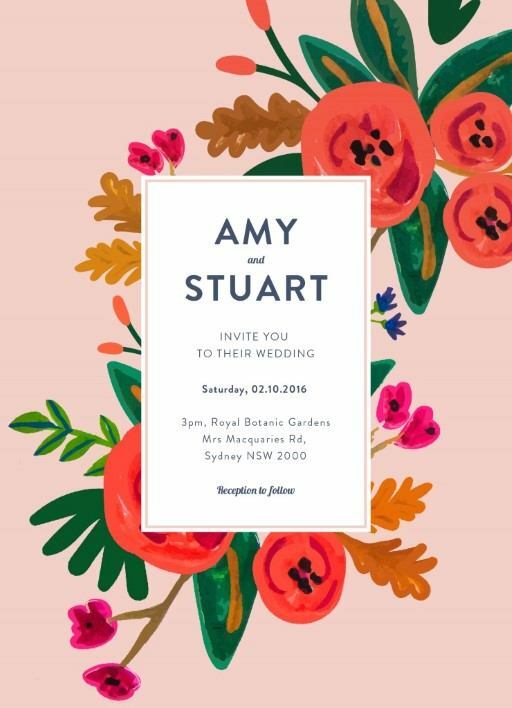 The Engagement Invitation card from the greater Red Flowers set looks great when printed using Digital and we think when it comes to stocks, it looks best on Paperlust Premium. I feel like I am in a garden on a bright sunny day by looking at this card. 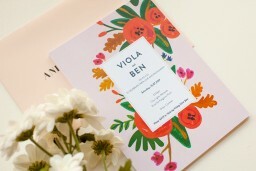 The colours are so fresh and beautiful that I can't keep my eyes off this card.